It might sound like a fairly odd recipe, but using sourdough to bake bread is actually still a very popular method. The difference between sour dough, and a commercial bread dough, is basically down to the wild yeast and lactobacilli bacteria that live in the flour and water mix used to make the sour dough. The sour dough is made sour during fermentation, as lactic acid is produced by the lactobacilli. There are many different types of sour dough, each of which producing their own delicate and distinctive flavour. Probably the most famous type is the San Francisco sour dough, first produced in the late 1800’s. Authentic sour dough cultures are sometimes difficult to obtain. This is compounded by the fact that cultures develop and change over time, rarely remaining exactly the same. For example, a 'San Francisco culture' ordered from America may not be the same 'San Francisco culture' ordered from Italy. Bakers spend a lot of time and effort tending to their sour dough cultures. When they finally arrive at one they're happy with, they tend to be very protective over it. Sour dough 'starter' cultures can however be ordered over the internet in a dry form, and will arrive in a dormant state. It is then up to the baker to 'activate' this culture. To activate the sour dough culture, you will need to add flour and water to it. The exact quantities of each depend on the type of culture you’re activating, as different types prefer different environmental conditions. Generally, the flour and water will be mixed to a thick, but sloppy consistency. Once this has taken place, the yeast and lactobacilli will begin slowly feeding, and in the process start to produce bubbles. This process is known as ‘proofing’. During proofing it is essential that the temperature is accurately maintained. The exact temperature will again depend on the type of culture you’re activating, but it is commonly kept at 85 degrees Fahrenheit. Contamination of the original sour dough culture is often a problem unless great care is taken with the temperature. This is where foreign bacteria may grow at a greater rate than the original sour dough organisms, eventually killing them. A baker using sour dough will often be able to detect that this has happened as the resulting mixture smells horrible. As time passes, yeast and lactobacilli growth rates will start to accelerate, accompanied by an increasing need for food. It is therefore important to regularly feed the culture with more flour and water to prevent the food source from depleting entirely. This feeding is normally needed every 12 hours to start with and then, as the culture becomes increasingly active, every 6 hours. A culture may take several days to become fully active, and so it’s important to continue feeding it even if there is little sign of activity. 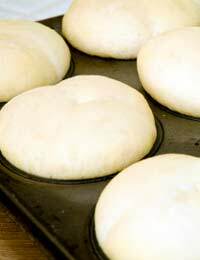 When your culture is fully active, it should either be used straight away to make dough, or placed once again into the refrigerator. Feeding at such short intervals is not necessary whilst in refrigeration, as the low temperature slows the lactobacilli’s metabolism. If you’re not using the culture regularly to bake with as a matter of course, feeding may only be required once every few months. When the culture is needed to make dough, it should be taken out of refrigeration. As the temperature increases, it will start to need feeding regularly. Only when the culture is once again fully active should it be incorporated into dough to make bread. Never mix your sour dough cultures with other types of yeast, or they will become contaminated, inhibiting their function, and possibly die.